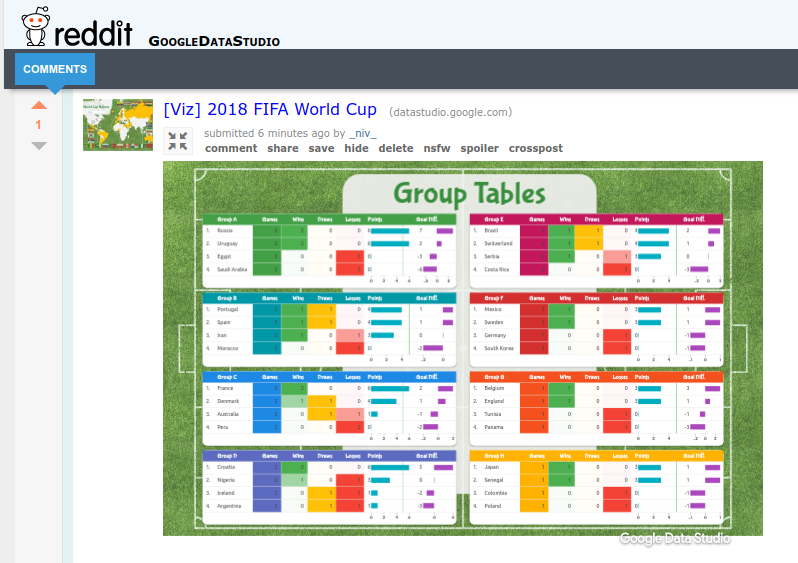 Share insights with the world by embedding a Data Studio report in any site or app that supports the HTML iframe tag, oEmbed, and Open Graph Tags. You can embed reports into platforms that support iframe embeds. 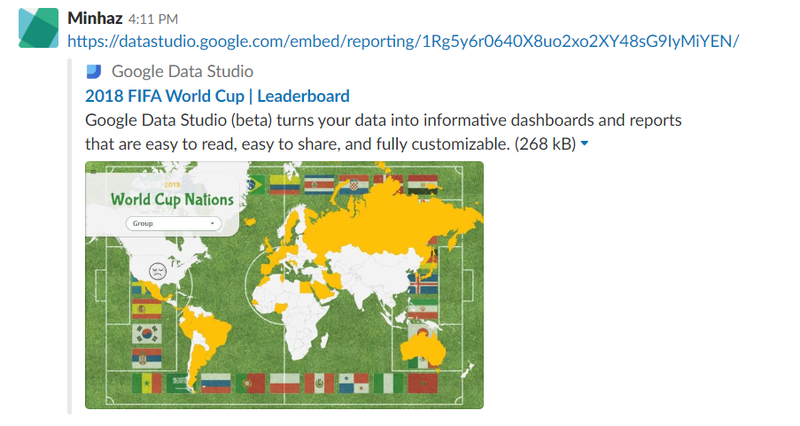 You can use the Embed Code option from the Embed Report feature in Data Studio. You can copy-paste the report URL to embed your reports into platforms that support oEmbed such as Medium and Reddit. Visit embed.ly to see the list of supported platforms. You can share rich snippets of Data Studio reports on any platform that supports the Open Graph Protocol. . This includes popular platforms such as Twitter, Facebook, LinkedIn, G+, Hangouts, iOS, Telegram etc.